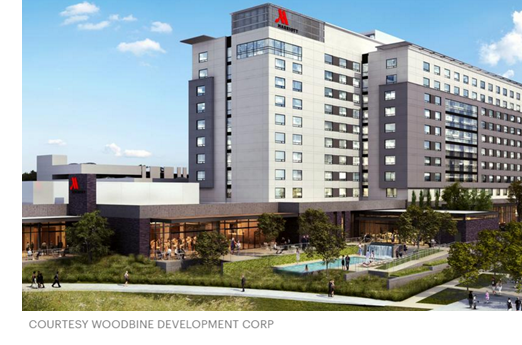 ​​​​​​​ SPRING – A 337-room Marriott hotel, Marriott CityPlace, will rise in Springwoods Village. Upon its completion, the ten-story hotel will include 33,000 sf of indoor and outdoor multipurpose space, which includes a grand ballroom, a boardroom and an outdoor event space. Springwoods Village, a 2,000-acre master-planned community, is anchored by Irving, Texas-based Exxon Mobil's new corporate campus.